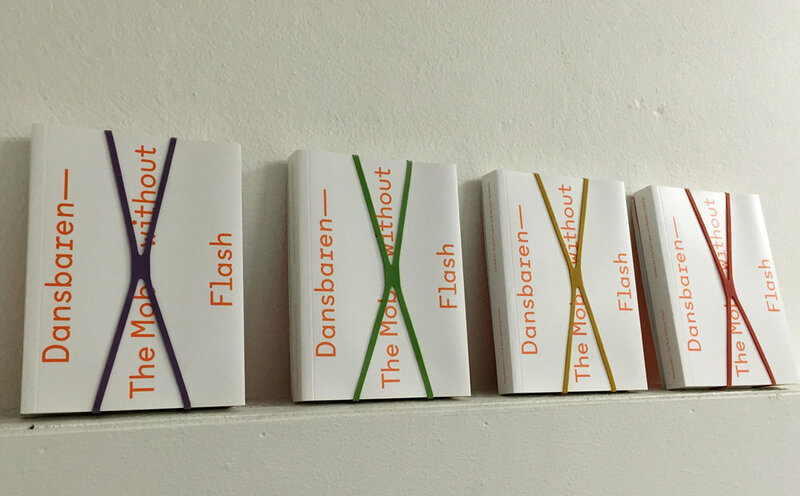 Dansbaren — The Mob without Flash is a printed object consisting of two parts: a book dedicated to critical thinking in the field of dance and choreography and a tablecloth of topics. It is a tool for continuing dialogues, putting dance discourse, literally, on the table. In both a local and international context Dansbaren, a series of public talks and discussions initiated by Gothenburg artist-run platform Dansbyrån, has been uniting dance theory with practice for 15 years. This publication re-activates Dansbaren’s central topics: dialogue formats, power relations, aesthetics, self-organization, sharing knowledge, appropriating language, artistic practice, history making and feedback methods. Read more about Dansbaren and how to order a copy.